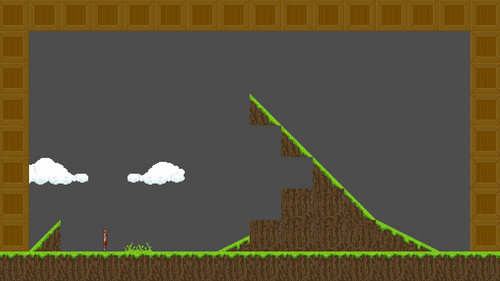 A Platformer made with Godot, meant as a learning experienced. Focusing on mechanics not usually covered by tutorials. Feedback of any kind is welcome, thanks in advance. I am not very familiar with unreal, though I did use UDK a while back. Godot is quite clearly the easier engine to work with imo. I say so since Godot is designed to be modular and collaborative - copy pasting assets makes merging multiple projects a breeze. The gui is a lot cleaner right off the bat, and GDScript the language it uses is very simple (similar to Python). Unreal I would say is much more advanced and well seasoned for high fidelity games. Far greater community and toolsets, also a lot more complicated. Here is the details on what I've done so far. My holiday is ending soon, so updates shall likely run dry until mid June. My goal was just to get this out so far. There is still a lot I wanted to do, such as the elaborating on the mechanics, unfortunately I may have to work that in willy nilly lol. Hey man, interesting project. I found Godot a while ago, but tried it out, so I might check in on your project once in a while to see how it progresses. - Make your DevJournal.txt a markdown (.md) file then you have access to markdown formatting, and is easier to see in the repo and reuse on other sites. - With the folder I think it is good to stick to a single format to not get any issues when moving or renaming folders. I prefer dash-naming, then I can never have a case where my camelCase folders are all of a sudden lower case. - I think you may need a .gitignore (to exclude environment, import, build, etc). I am unfamiliar about what should/shouldn't be ignored in Godot though, but maybe this could be a good starting point? Good luck with the project... And I like your Hedgehog Avatar! I hope to crack down on em, especially the .md format one, its a very nice suggestion and quite helpful with me learning how to use Gitlab at the same time.